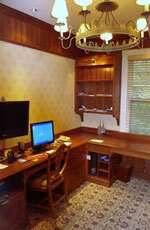 For many years we have been creating home offices for our clients. 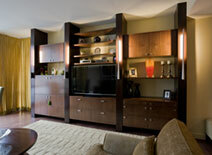 We integrate computing and a/v systems while maximizing storage creating both a functional and a comfortable environment. 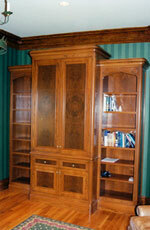 We have created whole room libraries bringing elegance to the home. 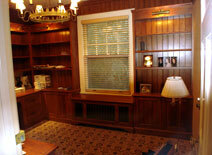 Library projects include open and closed storage, wall and ceiling paneling, wainscoting, mouldings, window seats, and room doors.